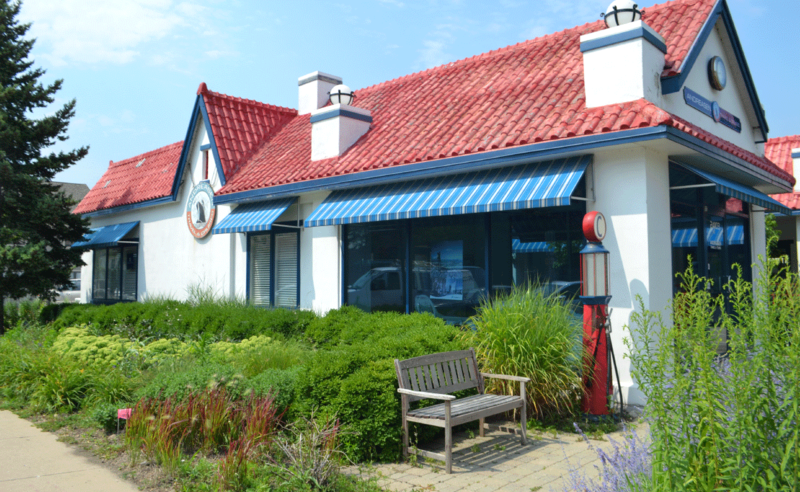 This National Historic Register Landmark, the former Standard Oil Gasoline Station, in downtown Plainfield underwent a transformation with the help of Arris Architects and Upland Design. 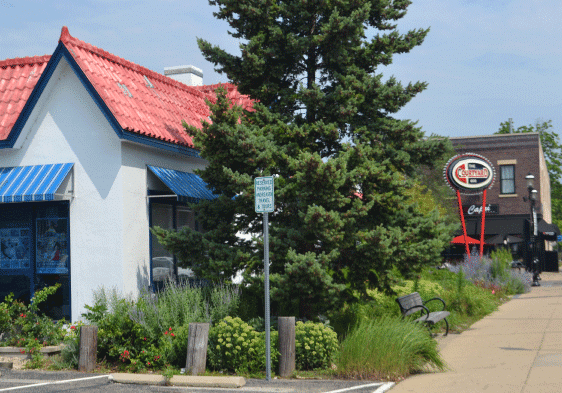 The building is contributing to Downtown Plainfield’s National Register Historic District and is located on the former alignment of both Route 66 and the Lincoln Highway. Upland Design assisted with exterior streetscape and landscape improvements. 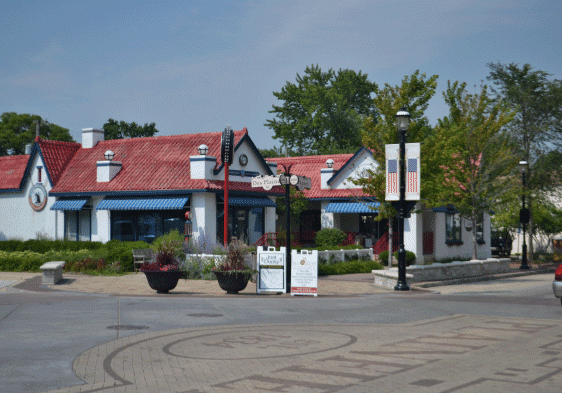 Amenities included new paver walks, site furniture, fencing, mock gas pumps and landscape plantings. 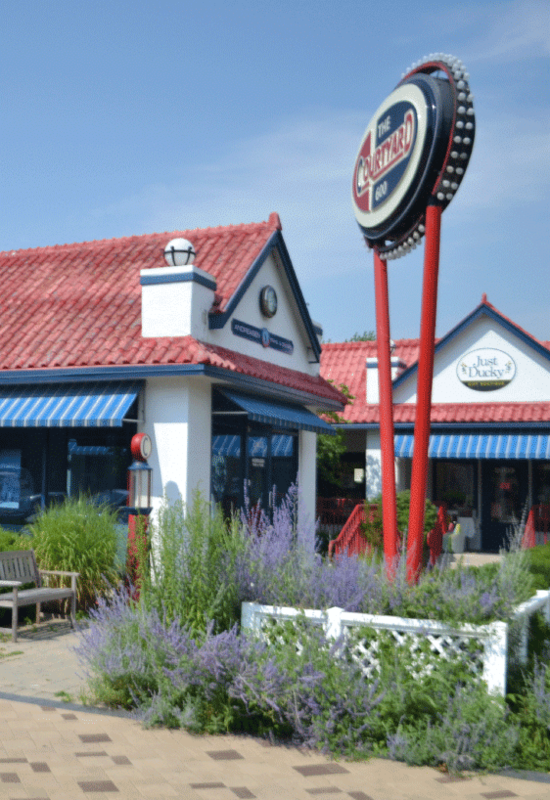 The plantings include roses, grasses, perennials and evergreen shrubs for year round interest. 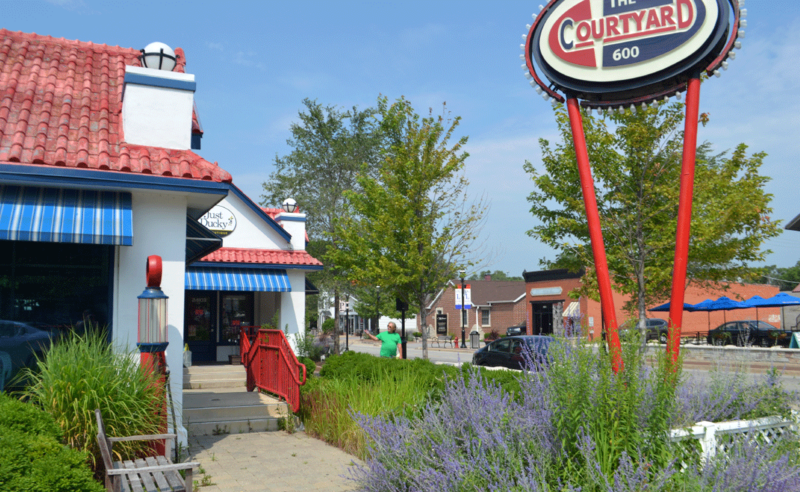 The finished site has become a gem in downtown Plainfield with color, texture and personality.